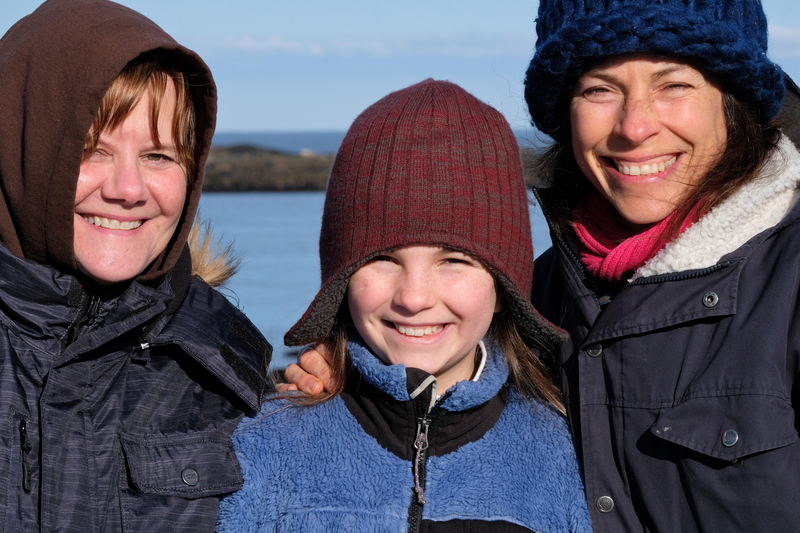 The last morning of 2018 began with a gorgeously hued sunrise, and then, as so often happens on the wild and wonderful shores of Cape Ann, there were several chance and up close encounters with our local creatures. 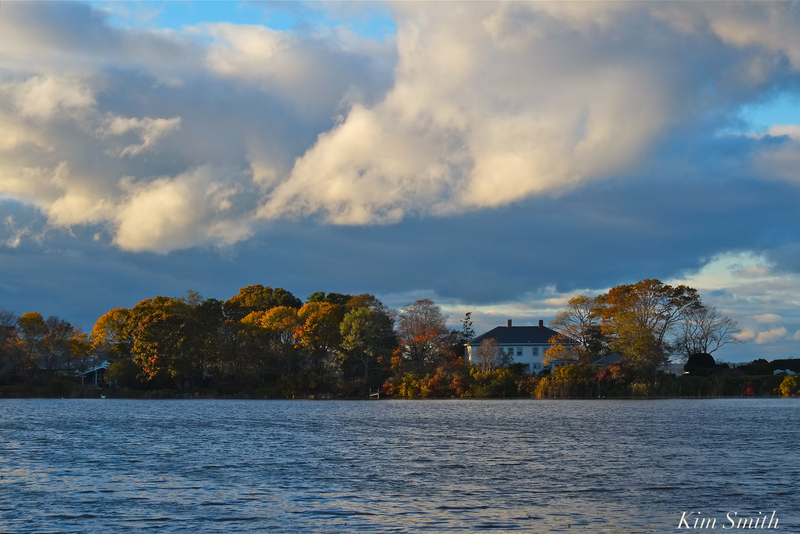 Nearly everyday I am reminded of the astonishing beauty that surrounds, from my East Gloucester neighborhood, to the natural habitats all around Cape Ann and Massachusetts. What a magnificent Planet we share! Happy New Year and wishing you much love, joy, and beauty in the coming year. Buffy gold juvenile Harbor Seal in the golden light of sunrise -an amazingly nonchalant, young Harbor Seal was close to shore this morning, sleeping, stretching, yawning, and scratching. More photos tomorrow when I have time to sort through all. And a duo of American Wigeons (both male) were foraging on the sea lettuce floating around the rocky coast. More about them, too. 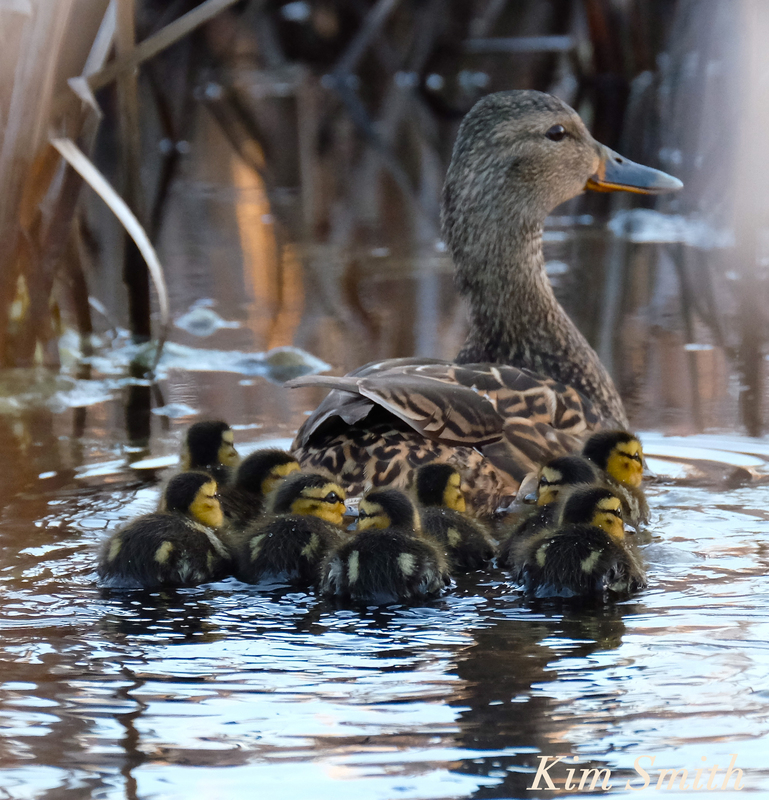 🙂 Notice their electric green eye patches and baby blue bills. This entry was posted in Birds, Birds of New England, Cape Ann Wildlife, Eastern Point, Gloucester, Gloucester sunrise, Life at the Edge of the Sea and tagged American Wigeon, American Wigeon Massachusetts, Anas americana, Atlantic Harbor Seals, Atlantic Road, Back Shore, Beautiful Birds of Cape Ann, beautiful Birds of Massachusetts, daybreak, Eastern Point, Happy New Year!, Harbor Seals, Phoca vitulina, Sunrise on January 1, 2019 by Kim Smith. 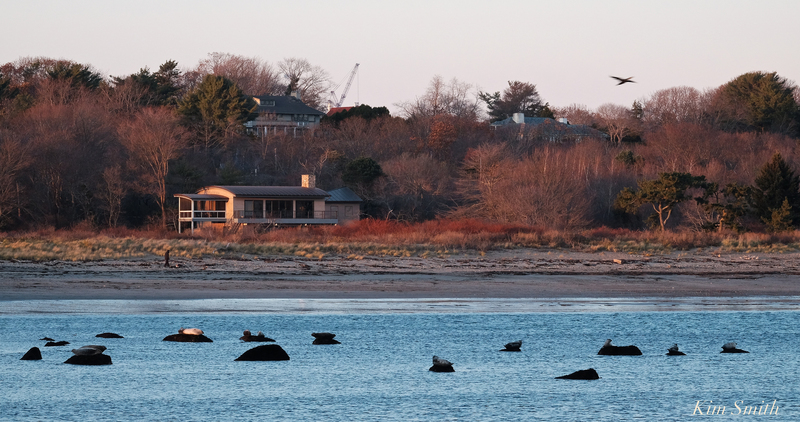 This entry was posted in Eastern Point, Gloucester and tagged Atlantic Harbor Seals, brace cove, Brace cove sunrise, Brace Rock, Harbor Seals, Phoca vitulina on November 24, 2018 by Kim Smith. 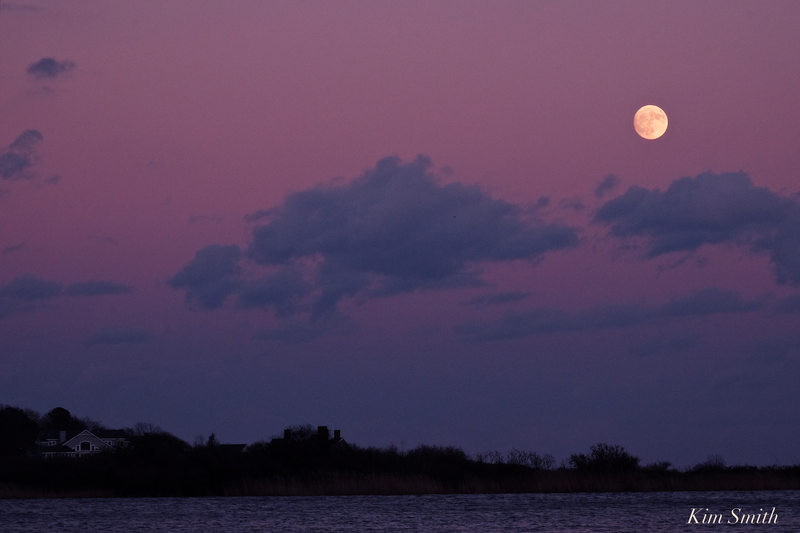 November’s nearly full Frost Moon was rising over Brace Cove, while the sun was setting over the harbor. 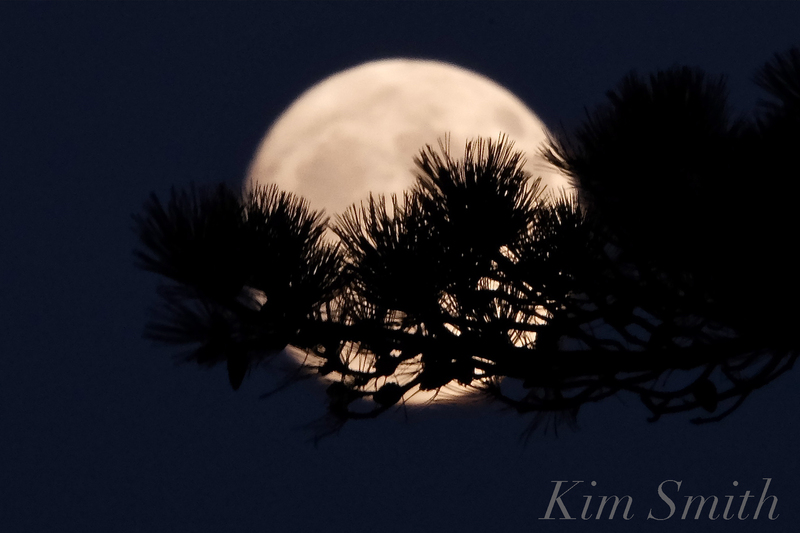 Violet sunset clouds swirled around the rising moon when moments later the moon shone brightly through the pine trees. 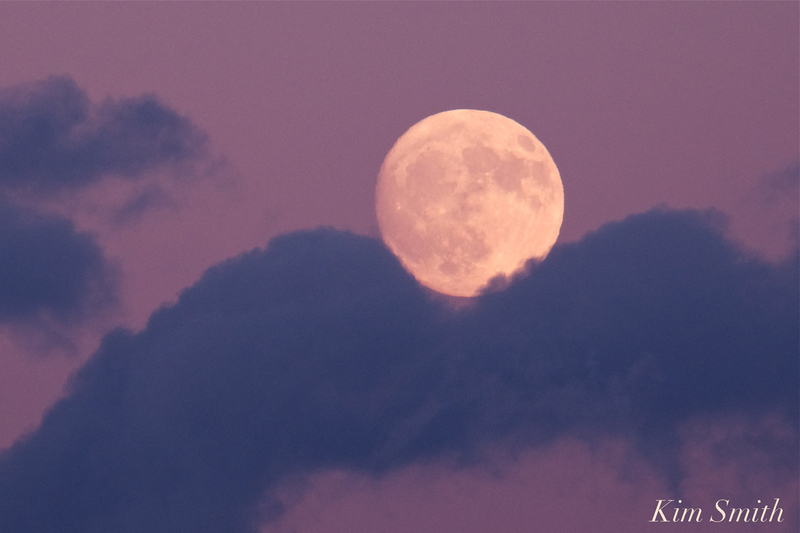 November’s full moon is also called the Beaver Moon-both the early colonists and Algonquin tribes named it so because November was the designated time of year to set Beaver traps before ponds and swamps froze. 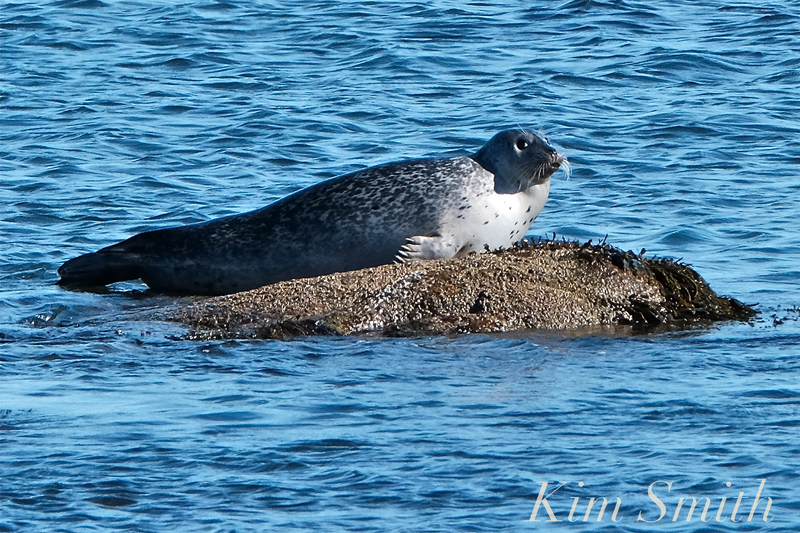 This entry was posted in Cape Ann, Cape Ann Wildlife, Eastern Point, Gloucester, Niles Pond and tagged Atlantic Harbor Seals, Beaver Moon, brace cove, Frost Moon, Harbor Seals, Kim Smith, Niles Pond, November full moon, Phoca vitulina on November 21, 2018 by Kim Smith. 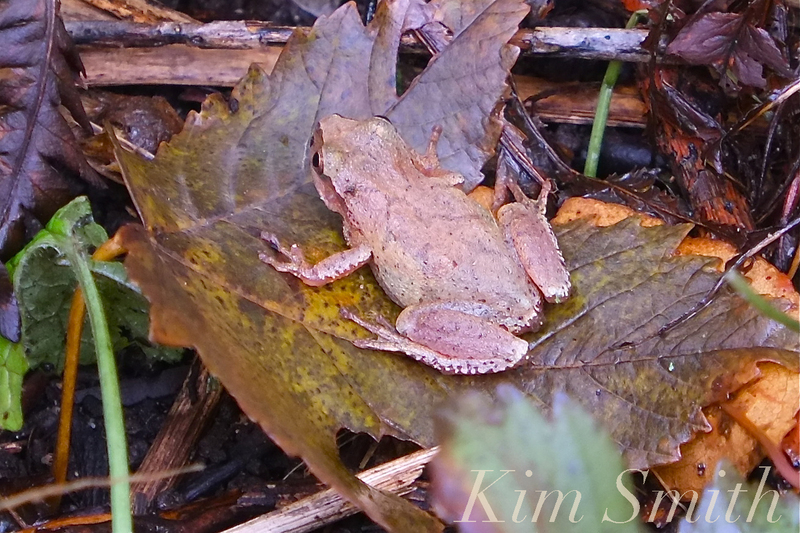 Spring Peeper out and about before hibernating for the winter. Relishing the last of these golden days, we took advantage of Sunday’s delightfully beautiful weather with a hike around Eastern Point. 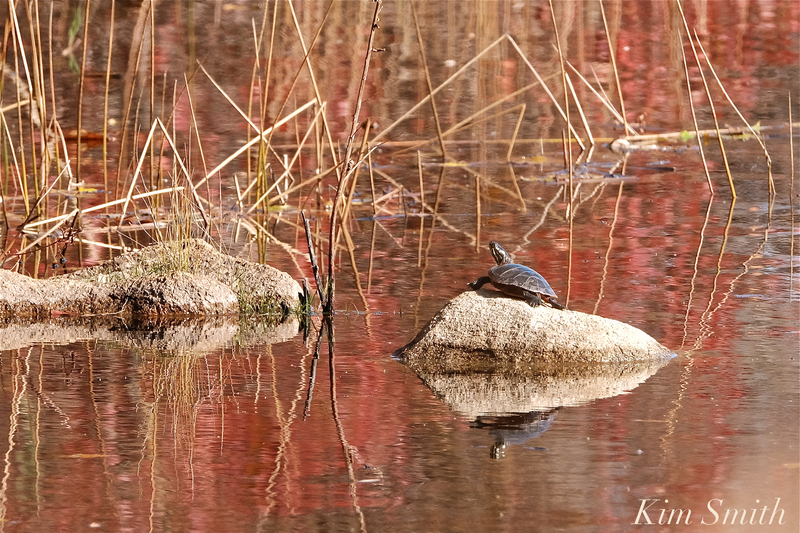 Several female Yellow-rumped Warblers were spotted feeding on seed heads, a lone turtle was basking on a sun-warmed rock, the Harbor Seals were lolling about, and a tiny Spring Peeper was spied in the fallen leaves. You can see why these sweet birds are called Yellow-rumped Warblers. Note the little flash of yellow on the rump of the warbler flying in the background. 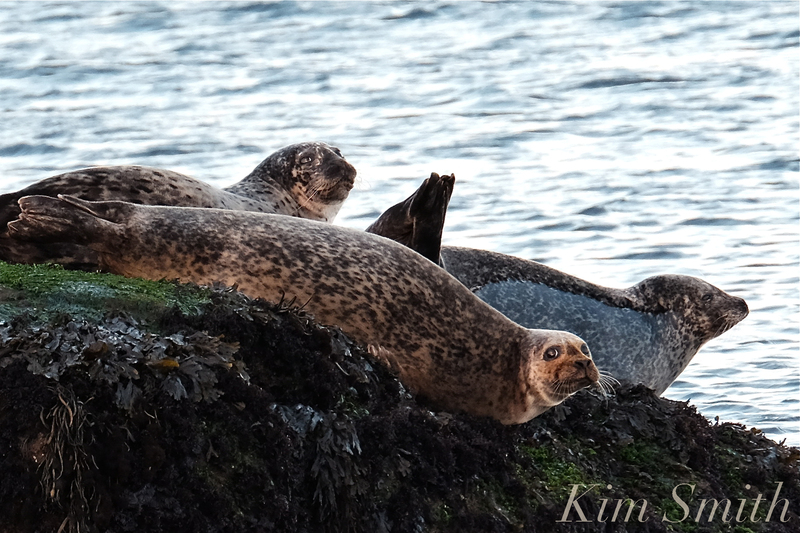 Harbor Seals warming in the sun. 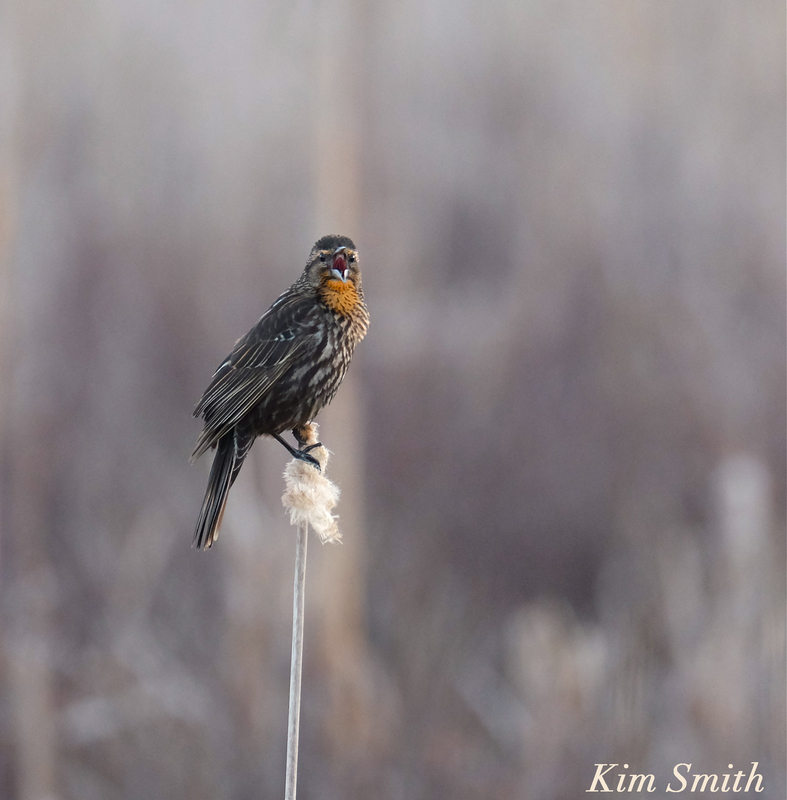 This entry was posted in Birds, Birds of New England, Cape Ann Wildlife, Gloucester, Niles Pond and tagged Autumn, Beautiful Birds of Cape Ann, Chrysemys picta, Eastern Painted Turtle, Eastern Point, Harbor Seals, Harbor Seals basking, Niles Pond, Phoca vitulina, Pseudacris crucifer, Setophaga coronata, Spring Peeper, Yellow-rumped Warbler on November 7, 2018 by Kim Smith. 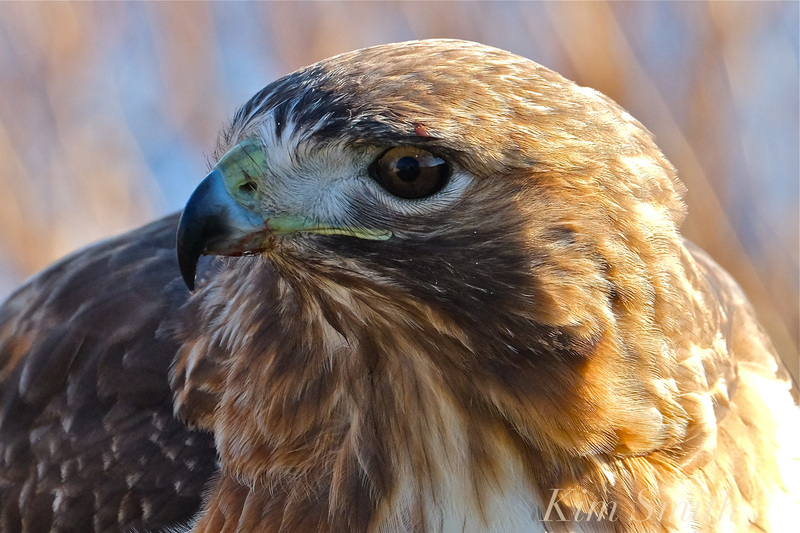 My husband Tom suggested that I write a year-end post about the wildlife that I had photographed around Cape Ann. Super idea I thought, that will be fun and easy. 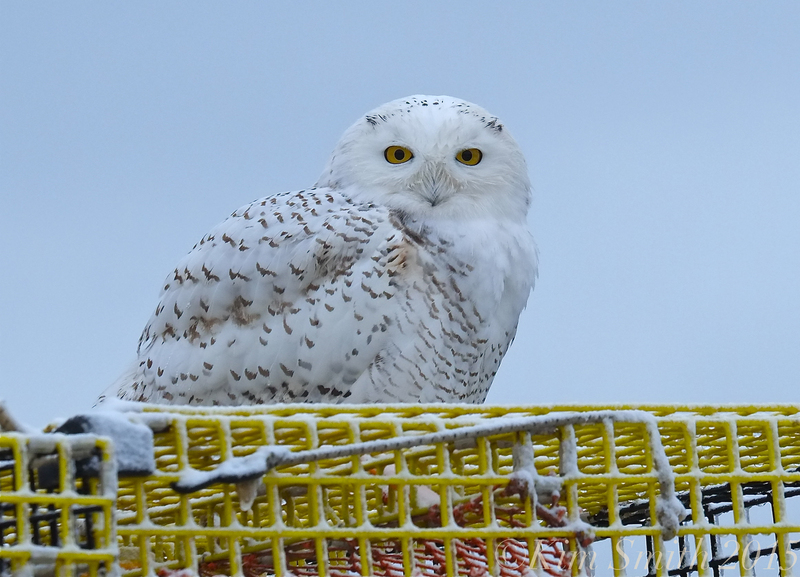 Not realizing how daunting and many hours later, the following is a collection of some favorite images from this past year, beginning with the male Snowy Owl photographed at Captain Joe’s dock last winter, to December’s Red-tailed Hawk huntress. 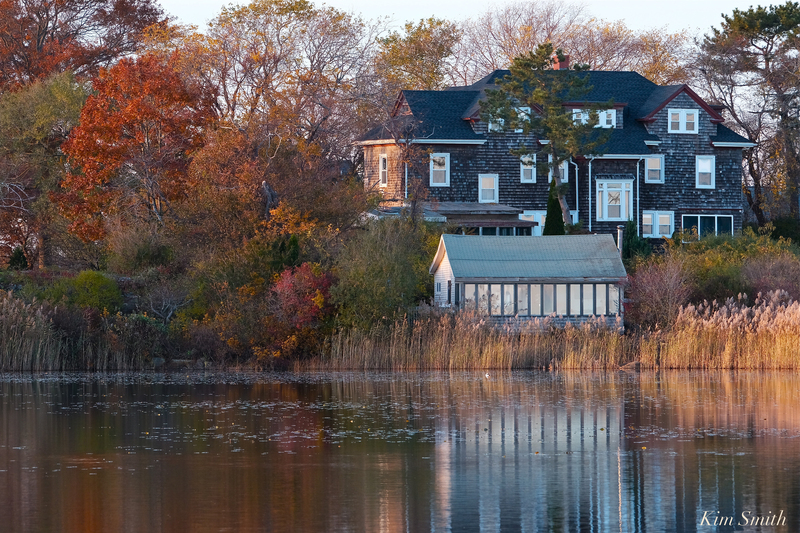 Living along the great Atlantic Flyway, we have been graced with a bevy of birds. 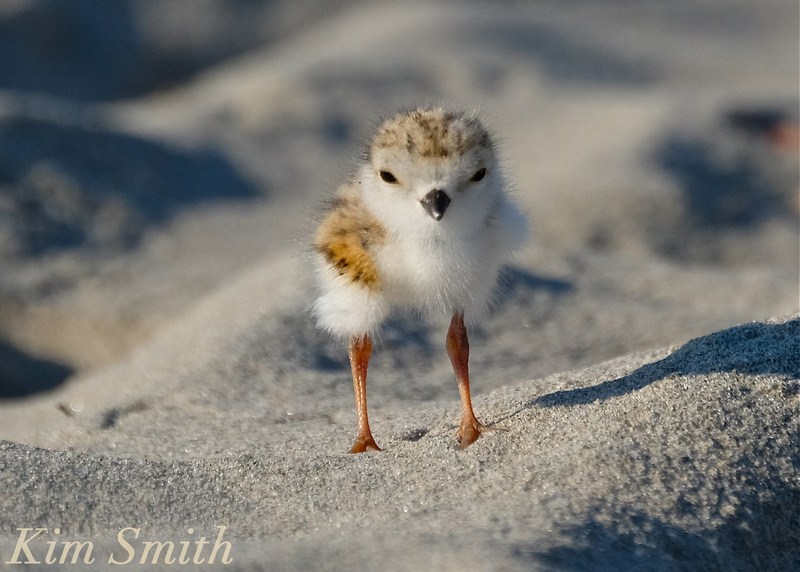 Perhaps the most exciting arrival of all occurred when early summer brought several pairs of nesting Piping Plovers to Gloucester’s most beloved (and most highly trafficked) of beaches, Good Harbor Beach. Their story is being documented on film. 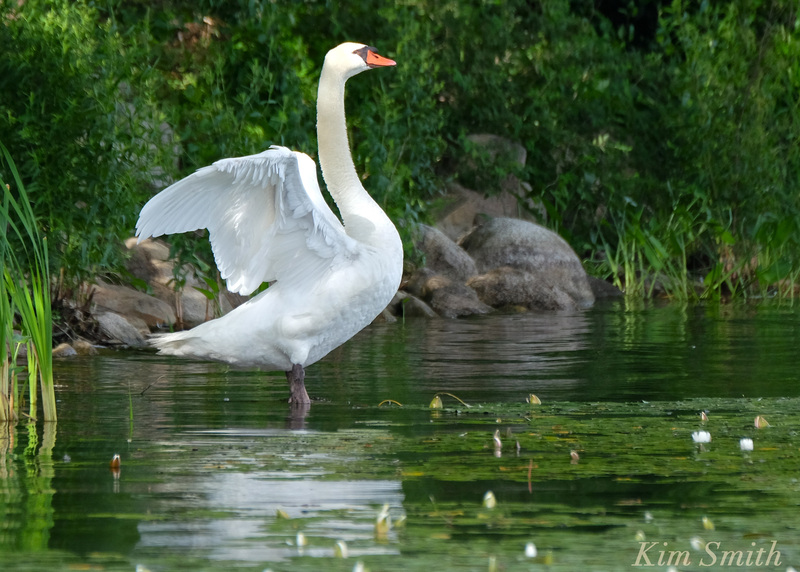 Work on Mr. Swan’s film will also resume this January—the winters are simply not long enough for all I have planned! 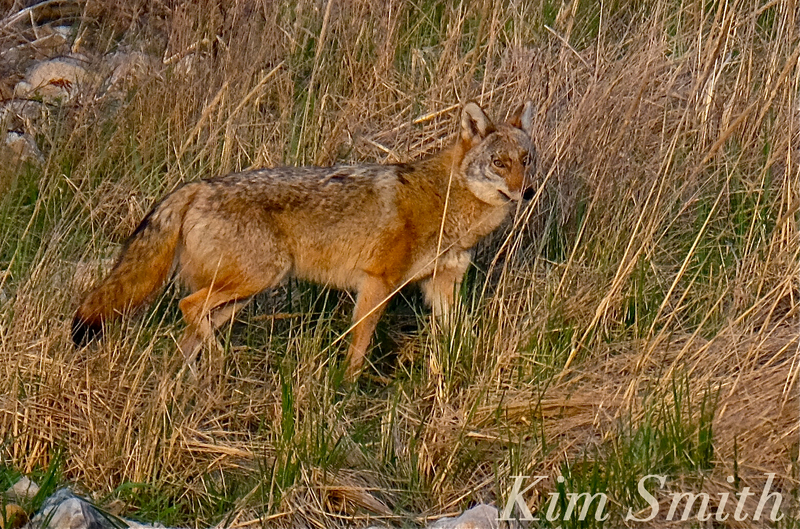 While photographing and filming Red-winged Blackbirds this past spring, there was a face-to-face encounter with a hungry coyote, as well as several River Otter sightings. 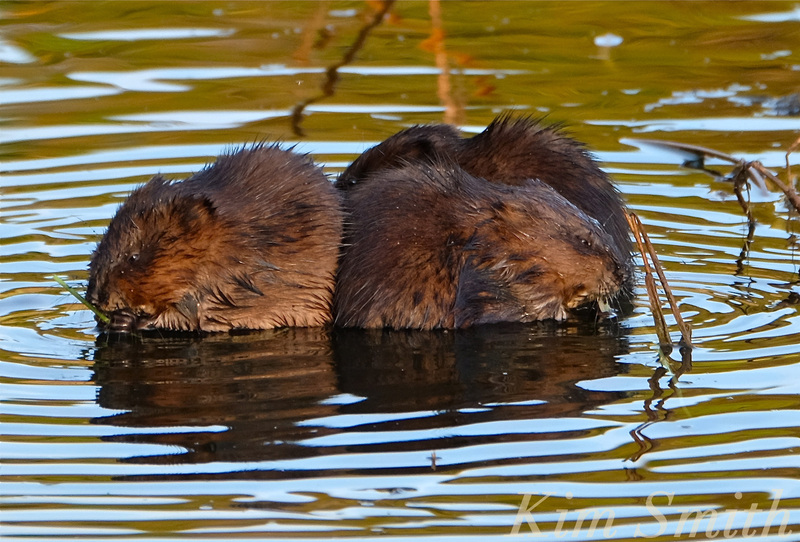 The summer’s drought brought Muskrats out from the reeds and into full view at a very dry Henry’s Pond, and a short film about a North American Beaver encounter at Langsford Pond. 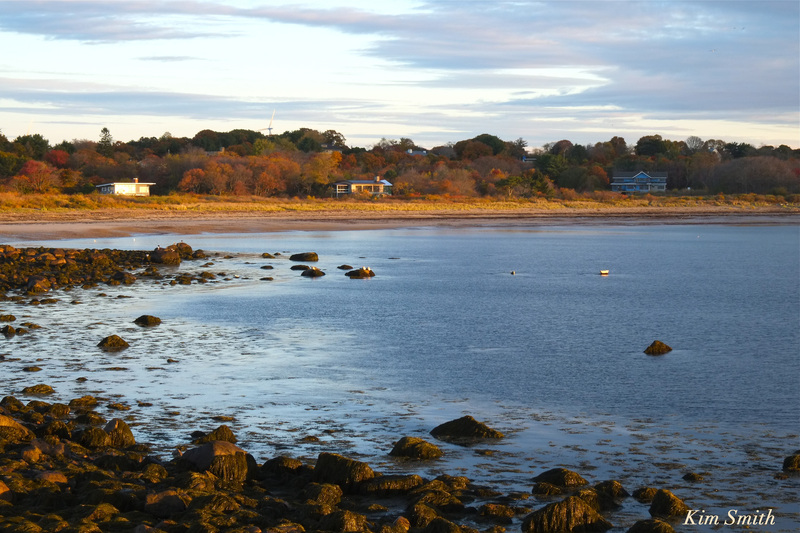 Numerous stories were heard from folks who have lived on Cape Ann far longer than I about the extraordinary number of egrets, both Snowy and Great, dwelling on our shores. 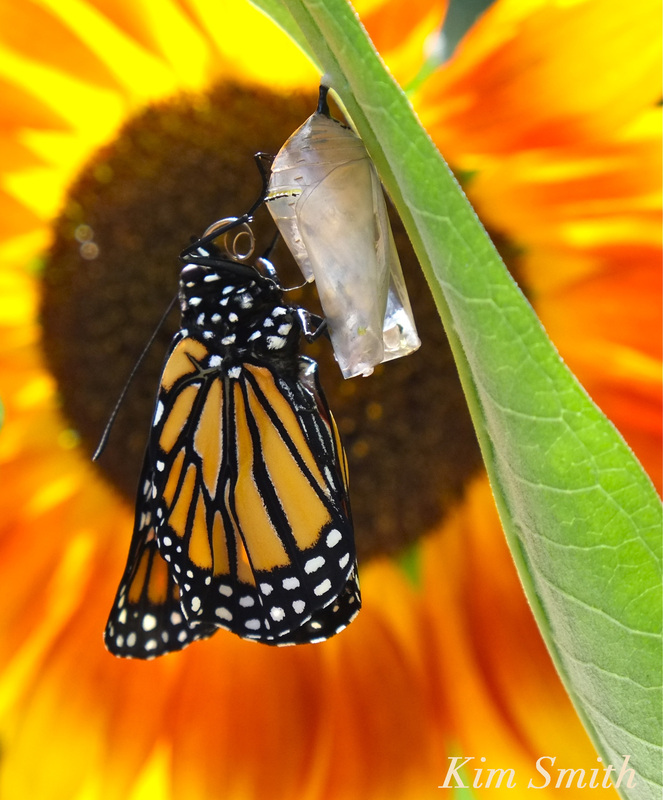 There were few Monarch sightings, but the ones seen thankfully deposited eggs in our garden. 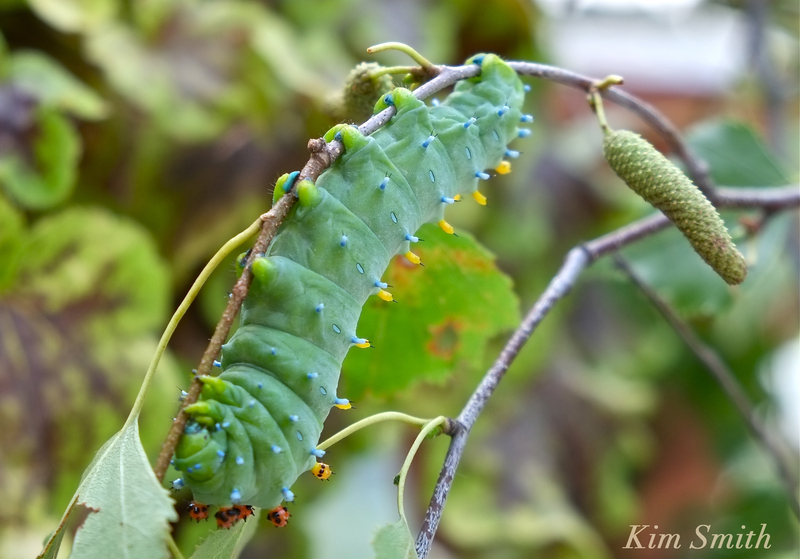 Thank you to my new friend Christine who shared her Cecropia Silkmoth eggs with me and thank you to the countless readers who have extended an invitation to come by and photograph an exciting creature in their yard. 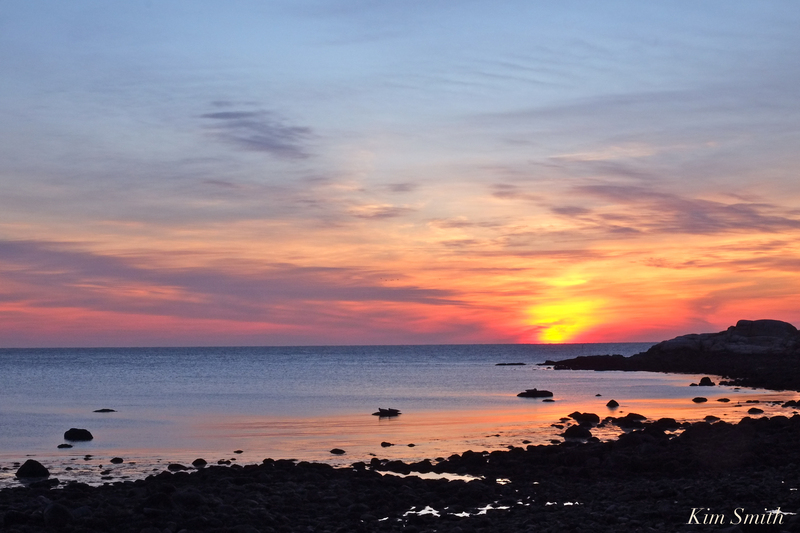 Pristine beaches, bodies of fresh water, and great swathes of protected marsh and woodland make for ideal wildlife habitat, and Cape Ann has it all. With global climate change pushing species further away from the Equator, I imagine we’ll be seeing even more creatures along our shores. Butterfly and bee populations are overall in decline, not only because of climate change and the use of pesticides, but also because of loss of habitat. As Massachusetts has become less agrarian and more greatly forested, fields of wildflowers are becoming increasingly rare. And too fields often make the best house lots. Farmers and property owners developing an awareness of the insects’ life cycle and planting and maintaining fields and gardens accordingly will truly help the butterflies and bees. 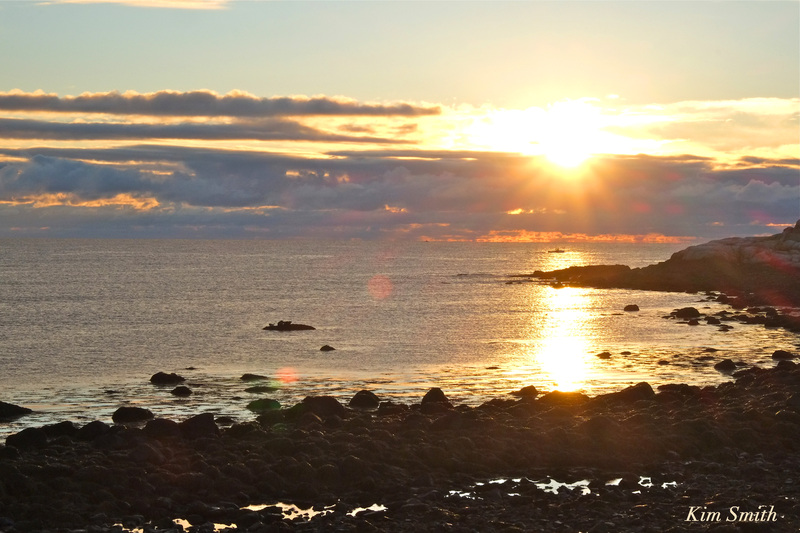 Thank you to all our readers for your kind comments of appreciation throughout the year for the beautiful wild creatures with which we share this gorgeous peninsula called Cape Ann. The images are not arranged in any particular order. If you’d like to read more about a particular animal, type the name of the animal in the search box and the original post should come up. I wonder what 2017 will bring? 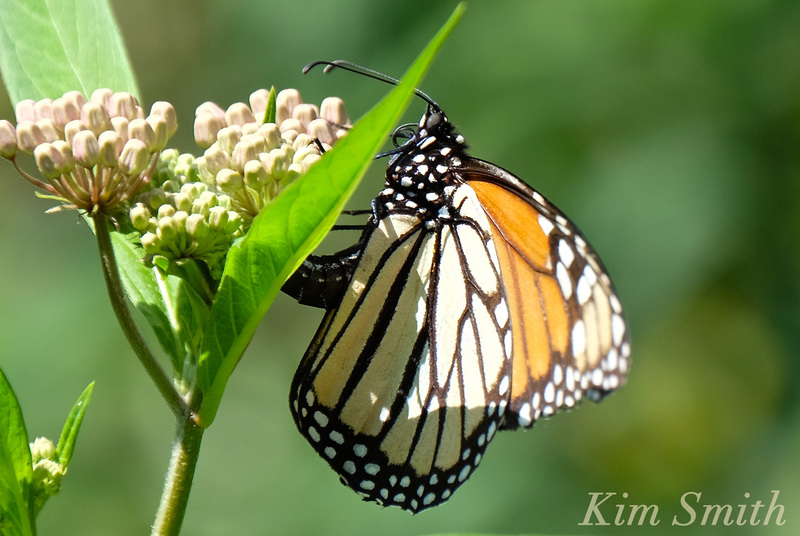 This entry was posted in Bees, Birds, Birds of New England, Butterflies of Cape Ann, Butterflies of Massachusetts, Cape Ann, Cape Ann Wildlife, Gloucester, Lepidoptera ~ Butterflies, Skippers, and Moths, Life at the Edge of the Sea, Monarch Butterfly (Danaus plexippus), Photography, Songbirds, Wildflowers and tagged American Robin, Beautiful Birds of Cape Ann, black-bellied plover, Blue Jay, Bufflehead courtship, Cecropia Moth, Common Loon, Common Tern, Cooper’s Hawk, Cygnus immutabilis, Eastern Coyote, Eastern Painted Turtle, female red-winged Blackbird, Gosling, Gray Catbird, Great Blue Heron, Great Cormorant, Great Egret, Green heron, Hairy Woodpecker, Harbor Seals, Henry’s Pond, Hooded Merganser, Juvenile Laughing Gull, Kildeer, Langsford Pond, Lined Seahorse, Little Blue Heron, male Red-winged blackbird, Male Yellow Warbler, mallard ducklings, Mourning Dove, Muskrats. 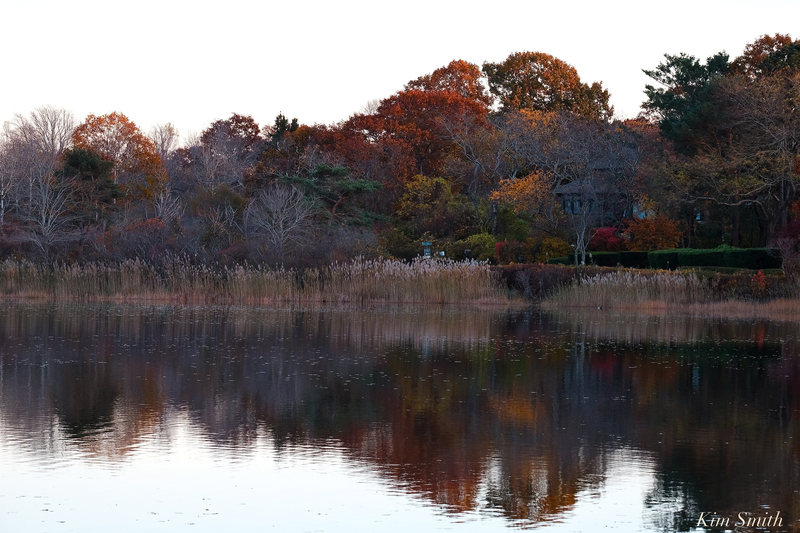 Monarch Butterfly, Mute Swan, Niles Pond, North American Beaver, Northern Cardinal, Osprey, Piping Plover, Red-bellied Woodpecker, Red-necked Grebe, Red-tailed Hawk, Red-winged Blackbird, Ruddy Turnstone, Sanderlings, Semipalmated Plover, Semipalmated Sandpipers, Snow Bunting, Snowy Egret, Snowy Owl, Surf Scoter, Tree Swallows, Tufted titmouse, White-throated Sparrow, Wild Turkey, YELLOW LEGS on January 6, 2017 by Kim Smith. 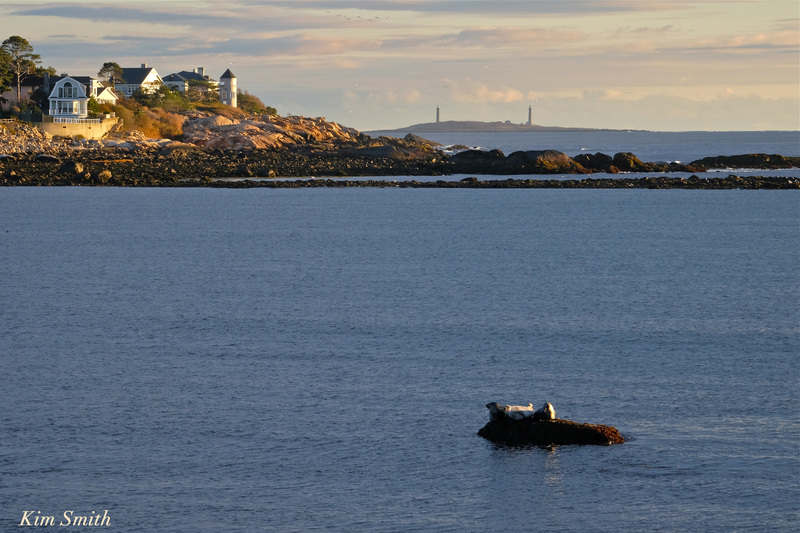 Basking Harbor Seals dotting the rocks all around Brace Cove during sunrises this past week. The funny thing is watching them battle for top dog spot. When standing on the Niles Pond/Brace Cove causeway you are close enough to hear their quite audible grunting and snorting. Click photos to enlarge to get a closer look. 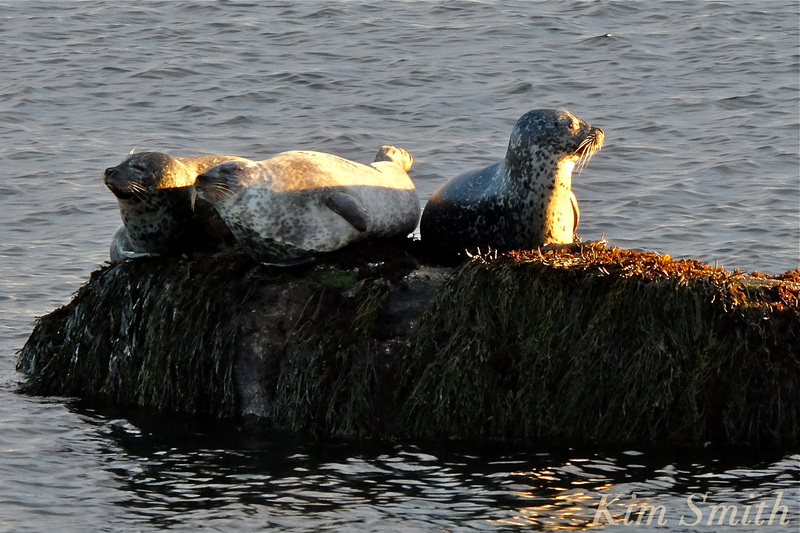 This entry was posted in Cape Ann Wildlife, Life at the Edge of the Sea and tagged basking Harbor Seals, brace cove, Eastern Point, Gloucester, Harbor Seals, Twin Lights on November 7, 2016 by Kim Smith.